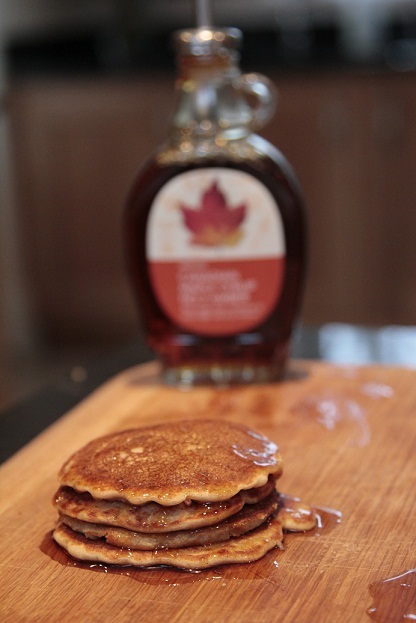 The recipe works well for pancakes or crepes, the only thing that needs to change is the amount of liquid you add. So go slow. Mix flour, baking powder, egg or an egg substitute and ½ milk very well. Add the rest of the milk slowly until you reach the desired consistency. Heat your pan, add a little coconut oil. Spoon in the mixture (I use an espresso cup to get the right amount), make sure the pan isn’t too hot, once bubbles start to form and burst in the pancake, it should be golden brown on the underside, flip it over and continue to cook. 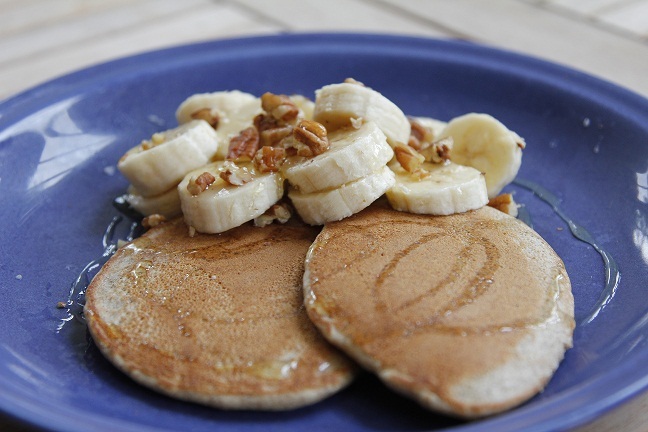 Serve these warm with sliced banana, chopped pecans and a little drizzle of honey, agave or maple syrup.